Watch the NVL Finals Preview! 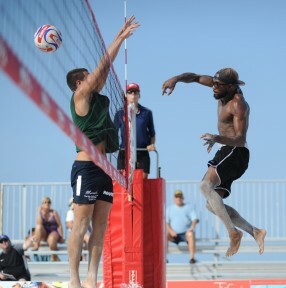 The top teams are dominating going into finals day at #NVLMadBeach. On the men’s side, the morning will start off with Palm/Mallin (1) vs Hinchey/Vandenburg (4) and Schoonover/Russell (3) vs Henderson/Marciniak (2). Women’s teams Niles/Sowala (1) vs Hayes/Snyder (4) and Harris/Stubinski (3) vs Batt-Rohr/Piantadosi-Lima (2) will go head to head to see who gets a quarterfinals spot. There are still plenty of great teams looking to make the jump from the contender’s bracket. Follow all of the brackets here.